Symmetrical over its long axis, the general assembly hall contains an auditorium seating 1300, four trapezium-shaped lecture theatres and a board room. Stair heads in the main well serve as a foyer and cafeteria. 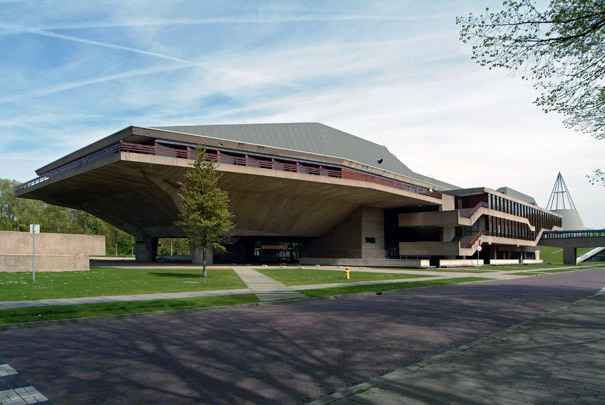 The building's structure, interesting spatially but structurally forced, is clearly visible in the large auditorium. Here, a folded roof cantilevering 30 metres is separated structurally from the dish-shaped concrete floor which itself rests on two concrete columns.